Move over Oscars, there’s a better awards ceremony full of glitz and glam, scintillating speeches and even an envelope mixup to keep people on their toes. 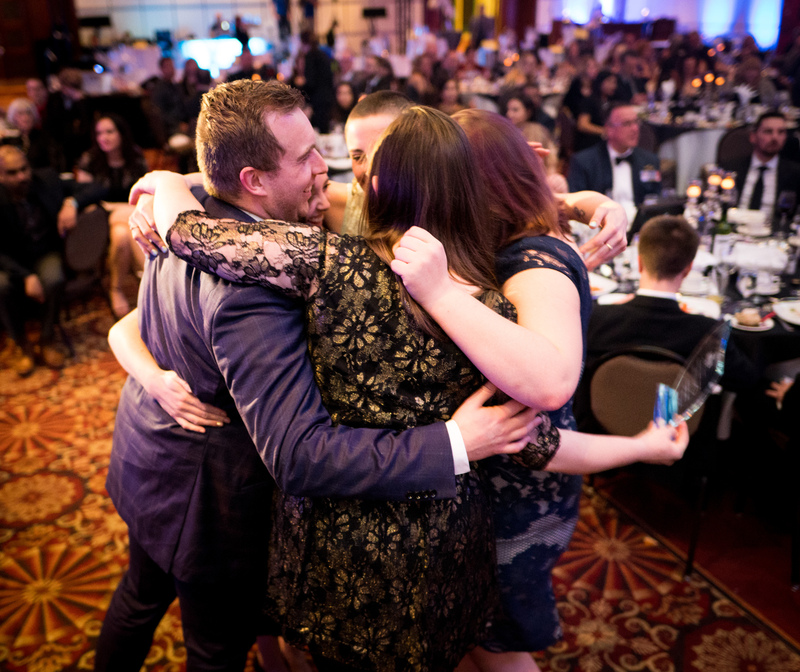 The Orléans Chamber of Commerce's 16th Annual Business Excellence Awards, with PRO/COM Realty Corp. as its diamond sponsor, drew more than 200 guests to the Hilton Lac-Leamy on Saturday night to recognize the rising stars of Ottawa’s east-end business community. 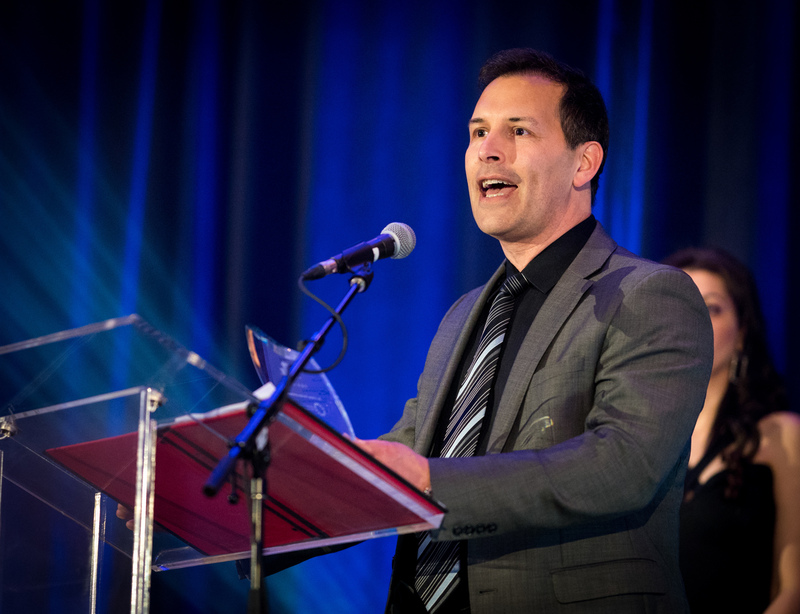 Co-chairing the awards gala were Nicole Darechuk, president of digital service and solution consulting firm Terradare, and Jarrod Goldsmith, creator of the small business eSAX networking trade shows. They’re both on the chamber’s board of directors. The dinner was emceed by boom 99.7 radio announcer Dylan Black and raised close to $6,000 for Children at Risk, a local charity helping kids with autism. 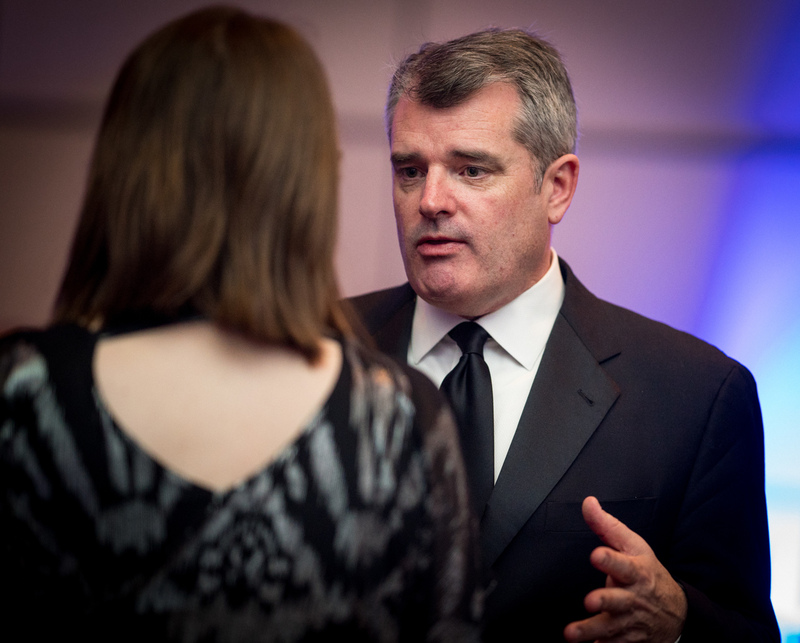 The vibe in the room was celebratory and overwhelmingly positive as this year’s finalists got a big shout out from the Chamber’s board chair, Sean Crossan, for their hard work and dedication. The evening offered up some motivational success stories. For example, Immigrant Entrepreneur of the Year winner Sylvain Routier was so broke when he began his business in October 2013 that he only had $20 to his name. Yet, he went from washing cars with a bucket of soap and water to running a highly-regarded luxury car detailing business, Routier Motorsports on St. Joseph Boulevard. Lucky for Routier, the building owner was patient about rent while the young man was getting started. The award came as a complete surprise to Routier, who’s originally from a region outside of Paris, France. “When you open a business, you want to make a difference, you want to make an impact, but you don’t expect anything back in the way of recognition,” he said. It’s worth noting that the 30-year-old small businessman puts in 18-hour work days when required to do so. Business Retailer of the Year Award winner André Grzela made a difficult decision in late 2016 to step down as a city councillor in Timmins in order to move to Ottawa with his family. His brother-in-law owned a Beachcomber Hot Tubs in Rockland and thought Grzela should run a second retail and service store in Orléans. The Beachcomber Hot Tubs in Orléans, which opened in early 2017, has done extremely well. It pulled in more than $1 million worth of business in its first year, and has been building a reputation for excellent customer service. It has meant 60- to 80-hour work weeks for Grzela, not that he's complaining. "I'm unbelievably proud of the results," he said. "I think I was always meant to be doing something like this. 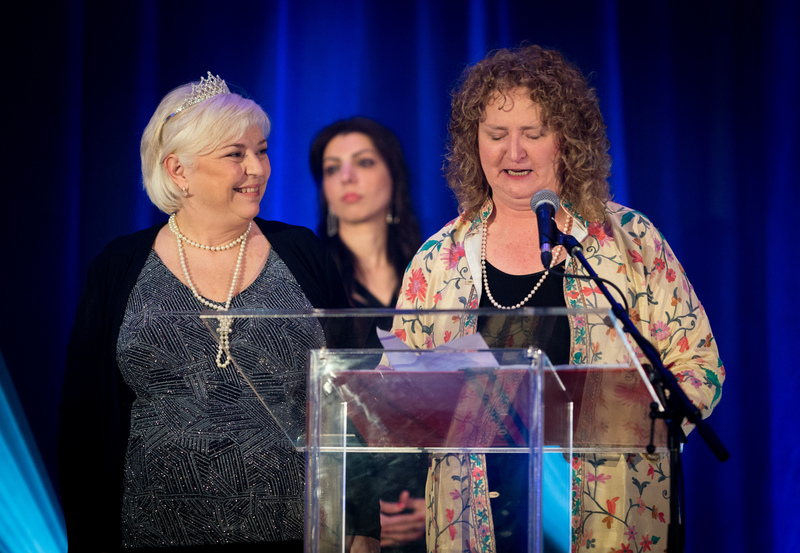 Catherine Priestman, president of CP Business Solutions, won the new category of Woman Entrepreneur of the Year. "A new day is on the horizon," she said, à la Oprah Winfrey, of the first-time award. Priestman thanked the Chamber, the community and her team, as well as her husband, Brig. Gen. Michael Rafter. "Entrepreneurism is a serious roller coaster ride and without him and my family and friends, it wouldn't be possible," she said on stage. Interestingly, she wasn't the only member of her family to take home the hardware that night. Her son, Matthew Rafter, 14, a student of the IB Program at Colonel By Secondary School, won Young Entrepreneur of the Year for a company he's been running for the past seven years, selling Enviroliners for kitchen compost bins. His acceptance speech was polite and considerate. 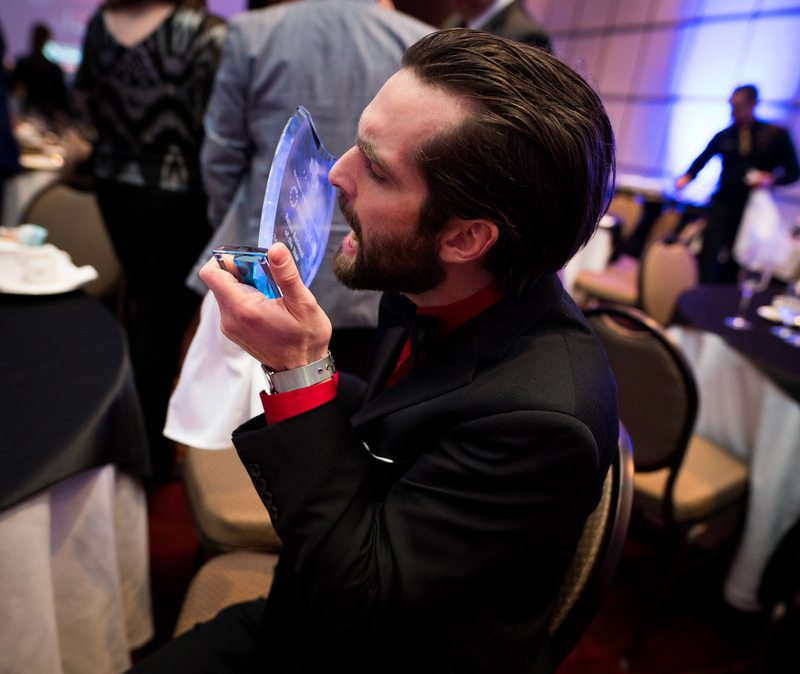 He thanked his award nominator, his staff and, finally, his parents. “I’d be nowhere without them. Literally,” he said. Custom home builder OakWood president and CEO John Liptak and his daughter, company COO Patricia Liptak-Satov, picked up Best Technology & Innovation of the Year Award. Other winners were: Host India owner Ravinder Tumber for Restaurant of the Year; AOE Arts Council for Community and Non-Profit Organization of the Year; Rhapsody Strategies CEO Eric Deschamps for Professional of the Year; Keynote Group CEO James Baker for Business of the Year; and Chantal Hackett, owner of Sing House Studios for Service Business of the Year. Adding comic relief to the evening was some slight confusion that led to David Bertschi, senior partner at Bertschi Orth Solicitors and Barristers LLP (BOS Law), being incorrectly named Best Employer of the Year. Bertschi, who's a member of the Chamber board, was a good sport about the honest mistake. He was back on stage soon enough to collect the Business Leader of the Year Award. 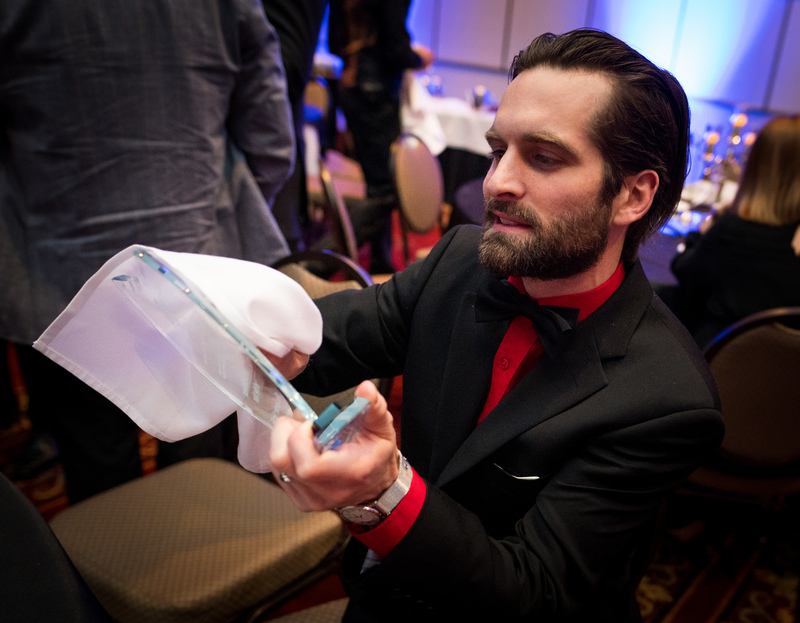 The correct winner of Best Employer was Andrew Scott, owner of three Pita Pit quick-service restaurants in Ottawa, one of which is in Orléans. He spoke about the business-changing awareness that dawned on him two years ago. “I realized that it’s not about me,” said Scott, vice-chair of the Orléans Chamber of Commerce board. “We have a responsibility to the teams that we employ, to the customers that we serve and to the communities that we live in. “If we only focus ourselves on our selfish ambitions, we can only grow on the basis of our own efforts. But, when our work becomes about something greater than ourselves, we can grow exponentially by uniting a talented group under a common banner and moving forward with a common goal. One of the highlights of the night was the standing ovation given to Peter Stewart, who was recently honoured by the Chamber with a lifetime achievement award for his role in growing Ottawa's east-end business community. He served as the inaugural executive director of the Orléans Chamber of Commerce. Unfortunately, Stewart is currently fighting cancer and was unable to attend the dinner. 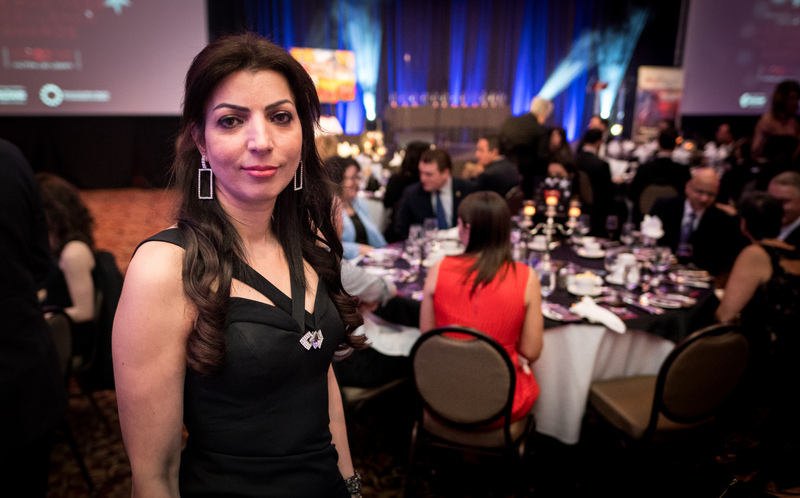 Stayci Keetch, CEO of video production company Eyes on Ottawa, was among the finalists who left empty-handed. But, since some of the recipients were her clients, she didn't mind as much. "I like to think the better job I do for them, the more chance they have to win these things," she said.